Today, we all are photographers, thanks to the advancements in smartphone cameras. We all click photos of whatever we like and believe should belong to our gallery. Now, we don't, always need to carry a camera to click some high-quality photos. A Smartphone, that's all you need to capture some amazing scenery, great moments and cool stuff. If you have a smartphone, you must have hundreds or even thousands of photos in your gallery. Some of those images must be of great quality and could worth more than you think. So, why not, sell those good shots online and earn some extra cash. But, how can you sell your photos online? The answer is simple: By uploading your images to Microstock websites(agencies). Microstock websites are a platforms that sell your photos and keep a certain percent of the cash paid for your photo. There are many Microstock websites where you can start selling your awesome photos. Here, I have listed 6 great microstock websites where you can sell your photos. iStock by Getty Images will provide you access to the Creative Research Resources including Creative Briefs and Customer Insights which will help you learn more about selling stock photos. This site also has resources like, trends and stats, which will help know what's selling more or trending. On iStock, you'll get 15% royalty fee on each photo that sells and 20% on videos and illustrations. Or you can earn 45% by becoming an exclusive member of iStock. Adobe's Fotolia is one of the leading stock photo sellers with over 4 million buyers and 53 million photographs. The site has been online for over 11 years. Fotolia offers 20-46% royalty, which gets instantly deposited in your account. Photoshop and InDesign. The advantage of this integration is: people can buy your images directly from those applications. Alamy has over 75 million images and videos. The reason for this huge collection of images is the 50% royalty rate that their contributors get. Alamy also doesn't force you to sell exclusively with them. You are free to sell your photos on other stock sites too. DreamsTime has a well-reputed place in the stock photography market. Every photo you upload onto Dreamstime, has to be approved before selling. You will receive 25-50% royalty on your approved photos. You can earn 60% royalty by selling your photos exclusively on DreamsTime and $0.20 for each approved submission. Can Stock Photo is one of the largest and oldest "microstock" photography agencies. It was launched in 2004 and now it has over 38,000 contributors and over 450,000 buyers. Can Stock Photo also saves you from the trouble of categorizing and adding keywords. It does that for you. Your photos need to be approved before they appear on the site. Photos are usually approved and appear on the site in the same day. Once your photos are approved and you start earning, you can redeem through PayPal once you have $50 in your account. You'll need to have $100 to request payment cheque. Shutterstock has over 50 million images and has paid out $350 million to its contributors. During sign up, you will need to upload 10 images for approval. 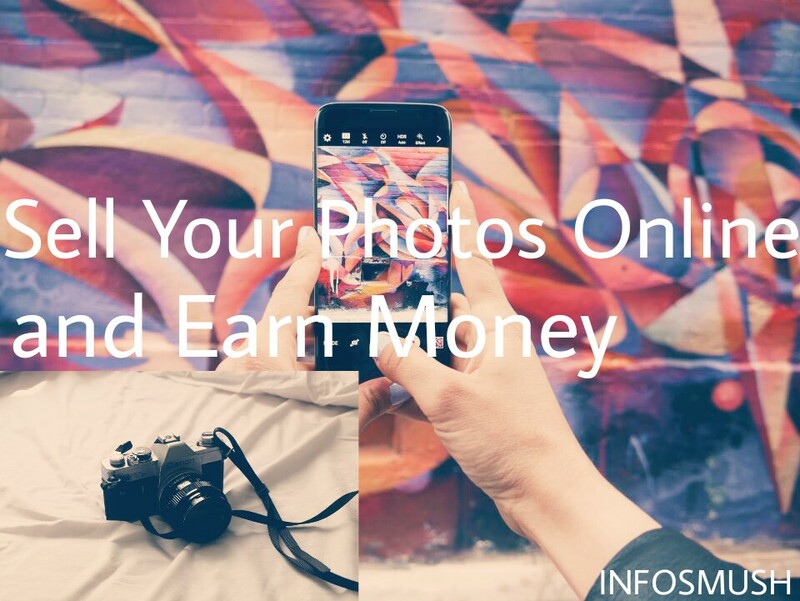 You will earn between $0.28 and $28 for each photo sold. 123RF is a bit different than the other microstock agencies. 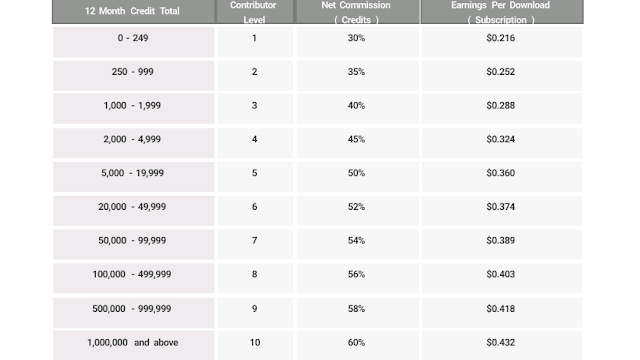 The commission you'll get as a contributor depends on your contributor level. Level 1 contributors get 30% royalty. You can increase your royalty up to 60%. Here, take a good look at the screenshot to understand, what I mean. No matter if photography is your hobby or you are a professional photographer or just a student, you definitely have those photos that can earn you dollars. Which of the above mentioned microstock websites have you tried? Please share your experience via comments. You didn't include SmugMug. SmugMug is also great website to sell photos.